Share this product and receive a $10.10 sharing discount. Another stunning creation from Ashleigh George. 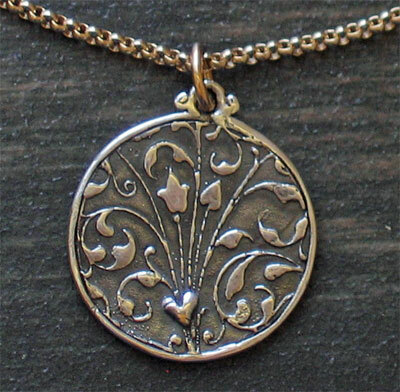 This handcasted sterling pendant has scripture casted into the backside of the medallion. The materials are .925 Silver, a gold chain, and a single gold link. This popular mix of materials allows this necklace to be worn with other silver or gold jewelry. The chain measures 18" long. 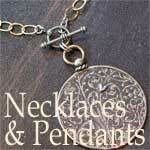 The hand cast circle medallion measures 1".